Plot - Two best friends become enemy when their wedding get scheduled on the same day. Liv and Emma two best friend since their childhood, who planned every thing even details of their wedding. They searched their bridal destination, the Plaza Hotel. Now at the age of 26 both of them about to get married. But due to clerical error their wedding get scheduled on the same day and both of them are not ready to compromise. Liv, Emma and their lifelong friendship are put to the ultimate test. Liv a successful lawyer who used to get whatever she wants, including job and perfect man won’t settle for anything less than the wedding which she dreamed of for so many years. Emma, a school teacher who is good to take care of others, but not so much in looking after herself, discovers her inner Bridezilla and comes out swinging when her own dream wedding is destroying. 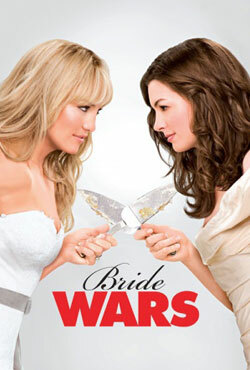 Awards & Nominations Won by "Bride Wars Movie"
Box Office Earning of "Bride Wars"